This brick estate home was temporarily supported allowing for excavation of a 4000 bottle basement wine cellar focused on entertaining. Textured materials and coolstone bring guests into a space designed to emulate caves and aged construction. 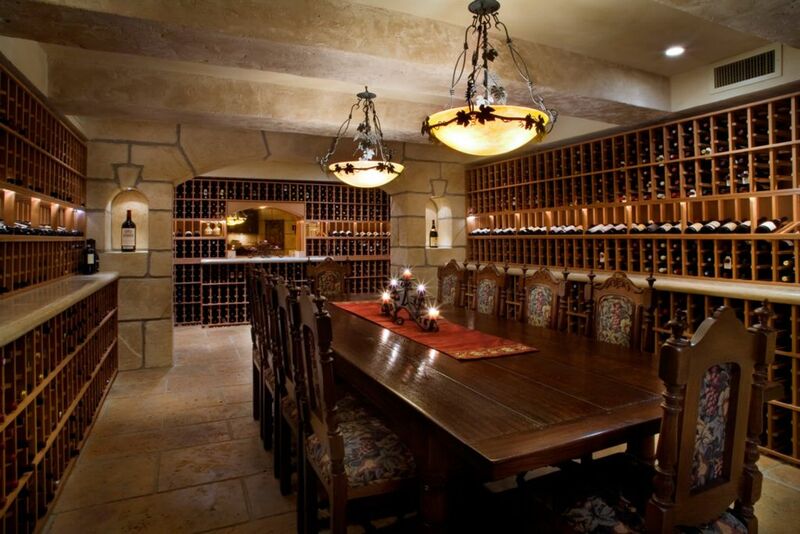 A ducted humidity and temperature control system keep treasured wine at the perfect level. A glass of wine can be shared with friends and family at the 10 person table installed and protected during construction which was too big to be installed after completion of the project. Completing this phase was the installation of a main entry door with large transoms and sidelights. Project Details: This brick estate home was temporarily supported allowing for excavation of a 4000 bottle basement wine cellar focused on entertaining. Textured materials and coolstone bring guests into a space designed to emulate caves and aged construction. A ducted humidity and temperature control system keep treasured wine at the perfect level. A glass of wine can be shared with friends and family at the 10 person table installed and protected during construction which was too big to be installed after completion of the project. Completing this phase was the installation of a main entry door with large transoms and sidelights.